To start the Move Out Process. 1. Letter: Scan and email OR mail via certified mail signed letter giving notice stating the lease will not be renewed along with move out date and time. See lease you sign for specific detail. 2. 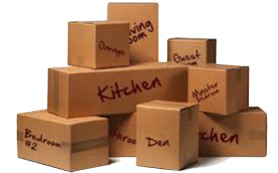 Empty Apartment: Ensure apartment is completely empty of all personal items and returned to original state when moved in and/or better condition. 3. Detectors & Light Bulbs: Ensure all smoke detectors, carbon dioxide detector, and light bulbs must be working as they were working prior to your move in. Change batteries or bulbs if not working. 4. Appliances: Clean (in, behind, and under) all appliances (stove, refrigerator). 5. Cabinets & Drawers: Make sure all counter-tops, drawers, and cabinets are clean. 6. Windows: Clean all windows and ensure screens and storm windows are in place. 7. Kitchen & Bathroom: Clean tubs, sink, mirrors, all tile, and vanities. 8. Schedule Appointment: Schedule a date/time before last lease day for turning in Keys and signing off on Move-Out Checklist Form. You must get confirmation to confirm date/time works. The available time slots for scheduling a date/time before last lease day are as follows below. 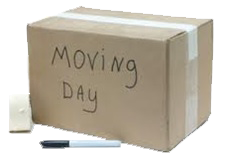 If you are moving out on last lease day then your appointment is automatically set at 12:00pm. 9. Keys: Upon Move-Out Inspection the keys will be returned and you will no longer be able to access apartment premises. 10. Move-Out Checklist Form: Upon Move-Out Inspection the originally signed Move-In / Move-Out Checklist Form will be reviewed for differences during lease period. You will be required to sign-off. Ensure you provide new forwarding address. It is your responsibility to notify Post Office of address change. 11. Utilities: Ensure you call local utility company to turn all utilities (gas/electric service) off. 12. Security Deposit: Will be mailed out within 30 days of last lease date and/or move-out date whichever is the later of two dates. Deductions will be made for damage, alterations made to apartment not approved in writing, if any items left behind not disregarded, trash not put out to curb past late payments, and/or if not clean. Apartments are cleaned prior to your move in to allow smoother transition during move-in.